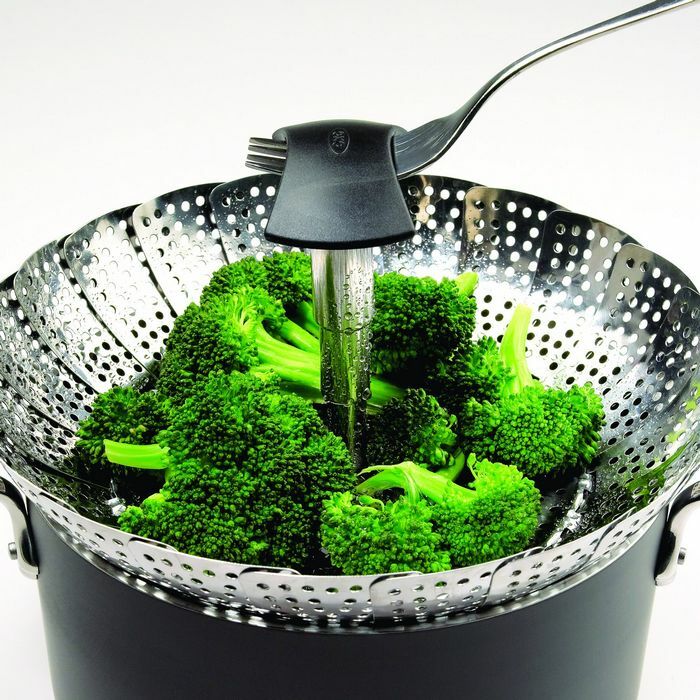 Freshly steamed vegetables are easy to make with the OXO GOOD GRIPS Pop-Up Steamer. 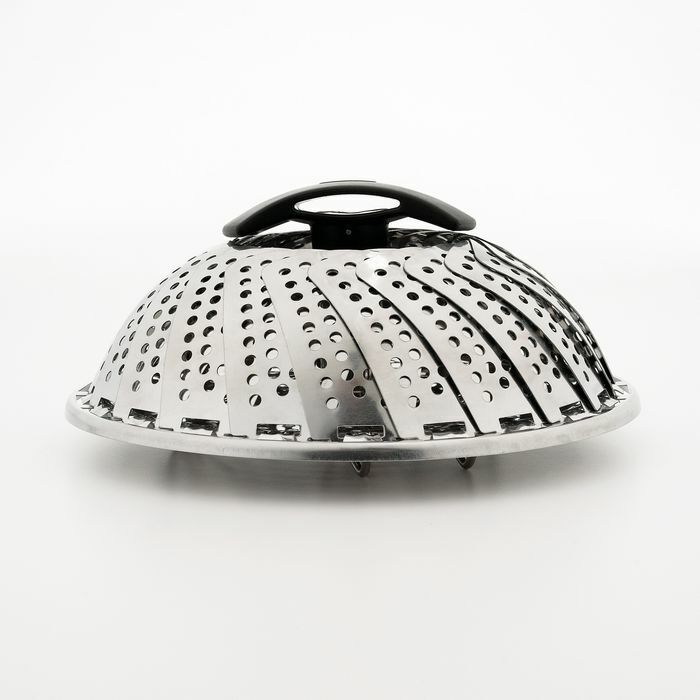 A simple press on the handle pops it up for added length, making it easy and safe to insert and remove the Steamer. Press the handle again to lock it down for compact storage. For extra reach, a fork can be inserted into the handle. The feet on the Steamer fold for storage and open up to 5 cm. so plenty of water can be used for steaming. 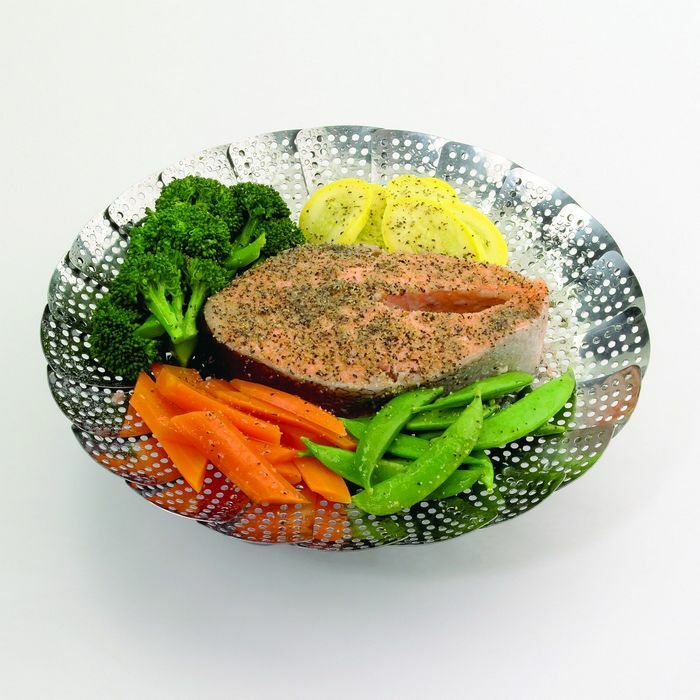 Simply unscrew the handle when the entire basket is needed for steaming large items like fish fillets. 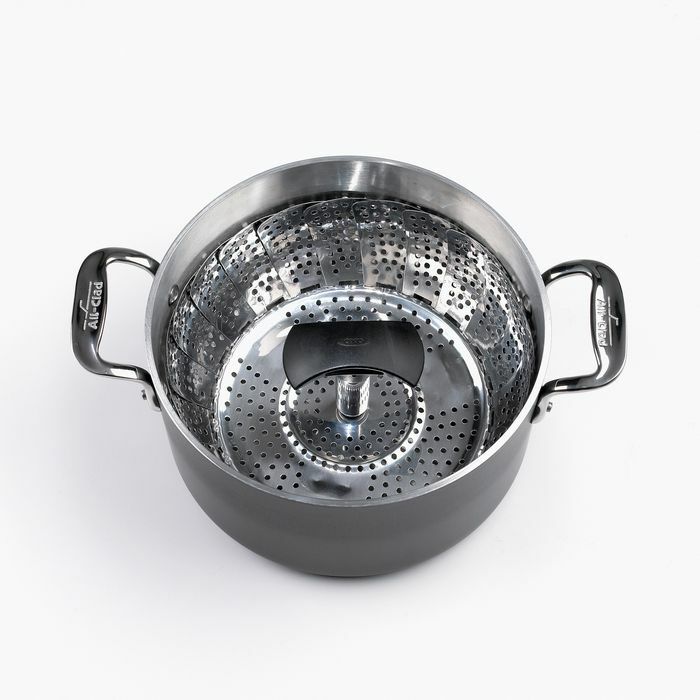 - Fits pots 17,8 cm. 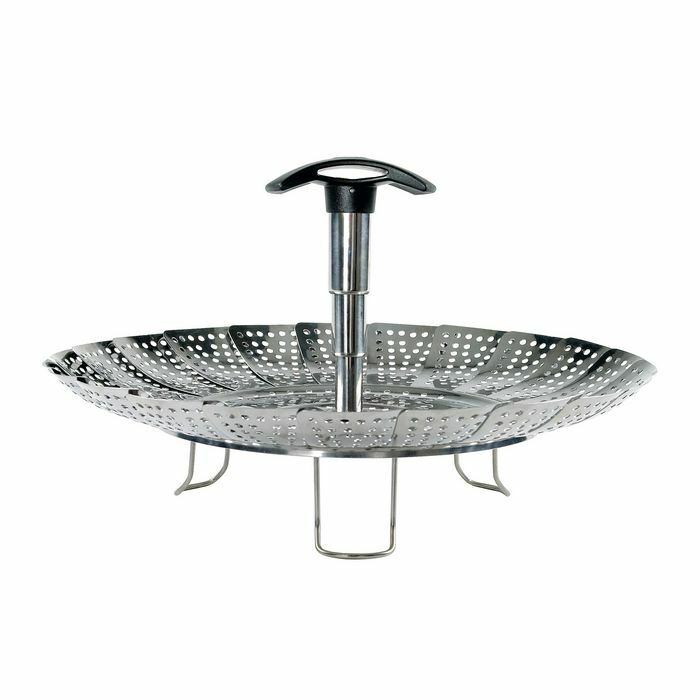 in diameter and up to 28 cm.